Usage: Covering various goods, vehicles, etc. With thorough industry knowledge, we are engaged in manufacturing and supplying a wide range of Laminated Tarpaulins. All these products are manufactured at our multifaceted infrastructure facility. Available in a spectrum of specifications, these products are in compliance with international quality standards. Owing vast industry experience in this domain, we have been able to manufacture and supply a collective range of Tarpaulin & Plastic Sheet for Storing and Packaging to our treasured clients. These products are manufactured with high quality of material and quality approved to ensure maximum satisfaction at user end. 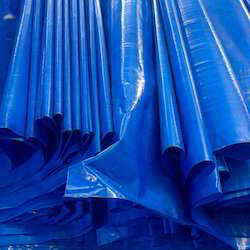 We are offering a precisely designed collection of HDPE Tarpaulin. The offered tarpaulin is manufactured by our workforce utilizing the top grade cotton and poly canvas. This tarpaulin is applauded for its quality among clients. Our offered tarpaulin is provided in number of sizes, designs and colors. 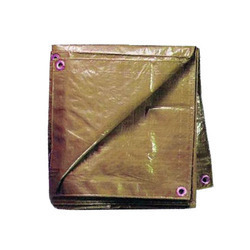 This tarpaulin is available in several sizes, colors, patterns as well as finishes. With the valuable assistance of skilled team of professionals, we are offering an extensive range of high quality Multilayered Cross Laminated Tarpaulin.